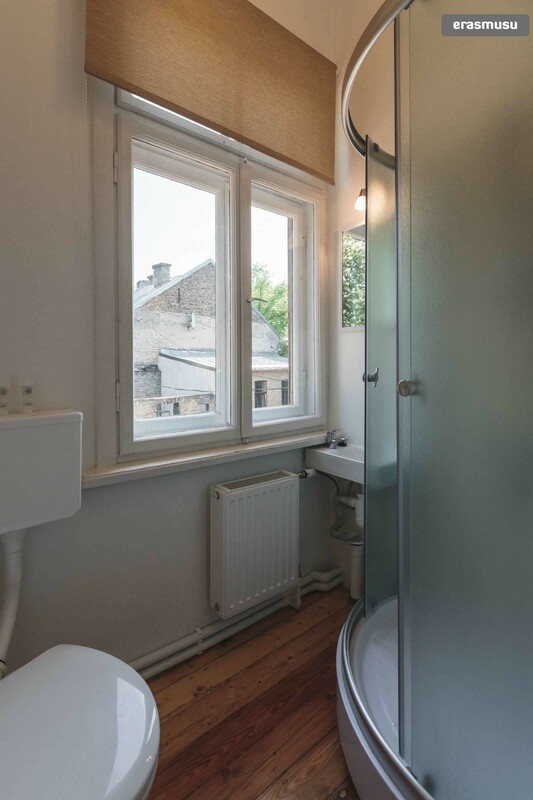 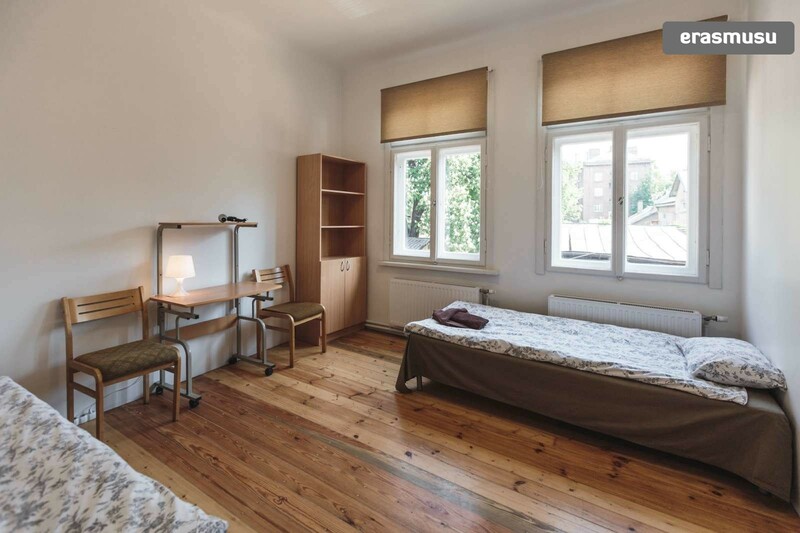 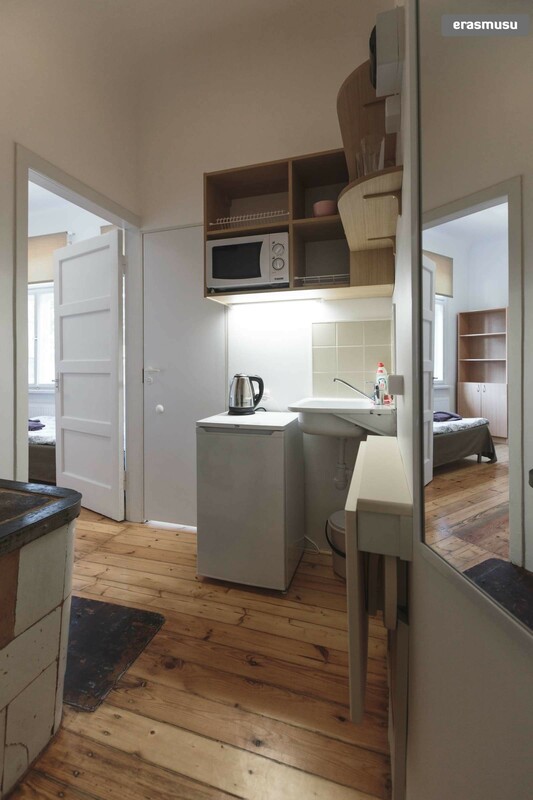 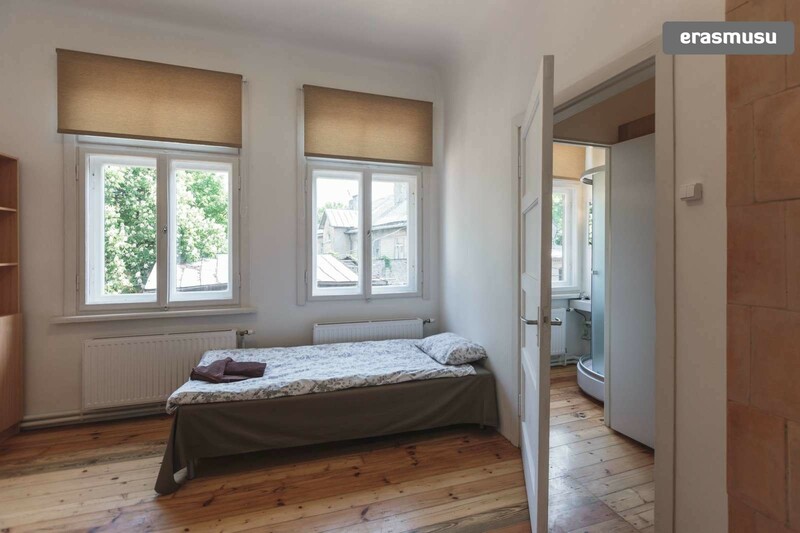 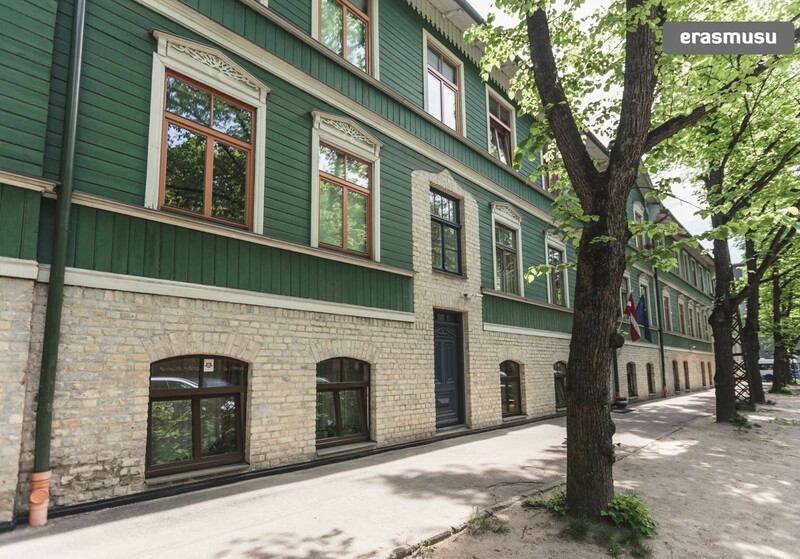 A stylish studio apartment is available to rent in Āgenskalns. 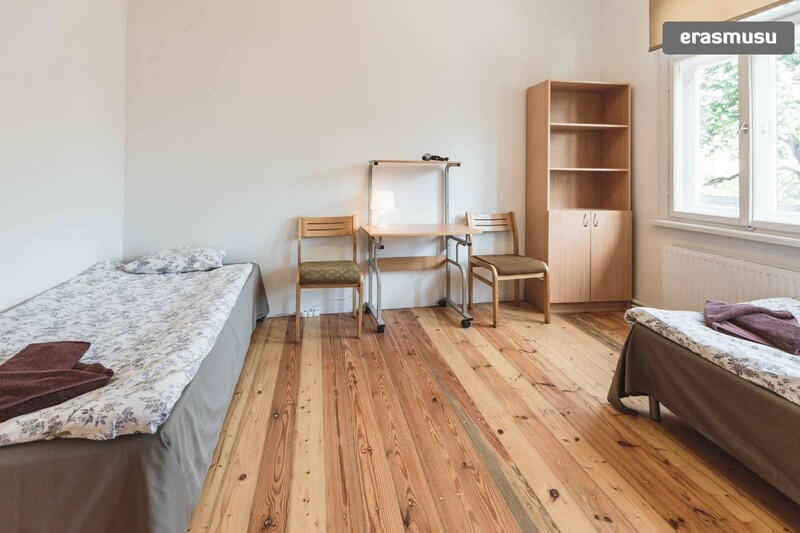 The apartment has a sunny main room with gorgeous wood floors, where you'll find 2 cozy beds, a desk, and some shelving space for your things. 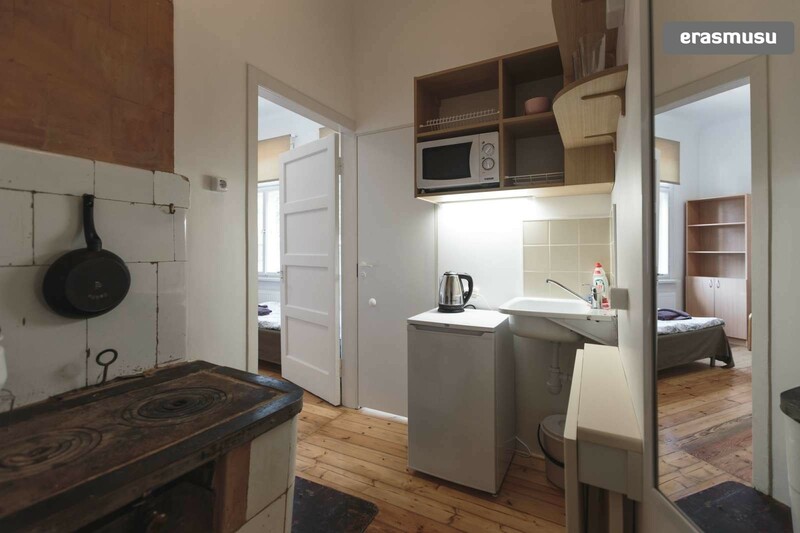 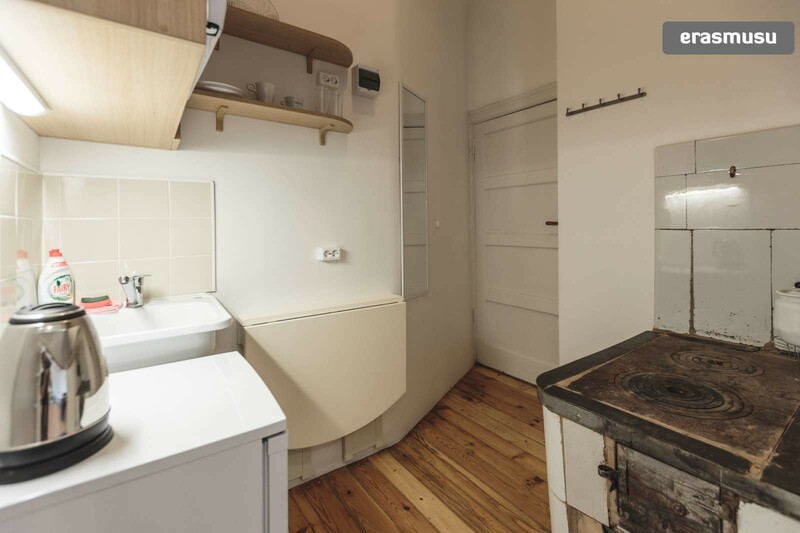 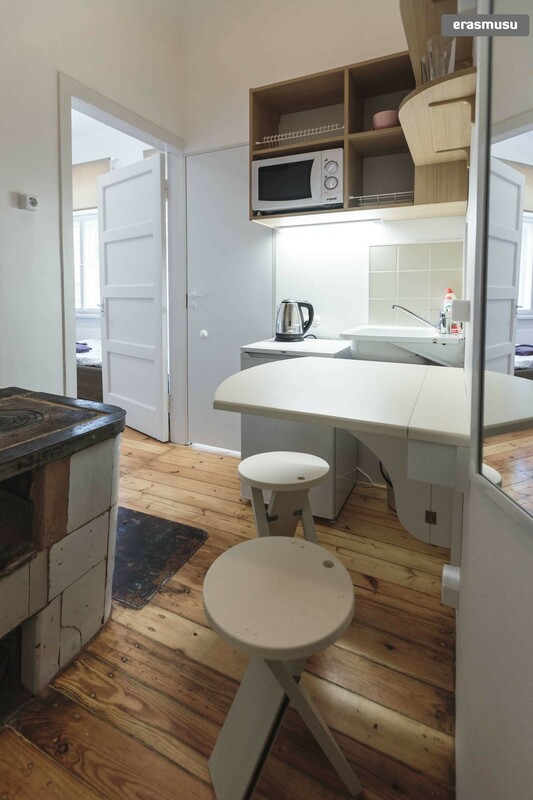 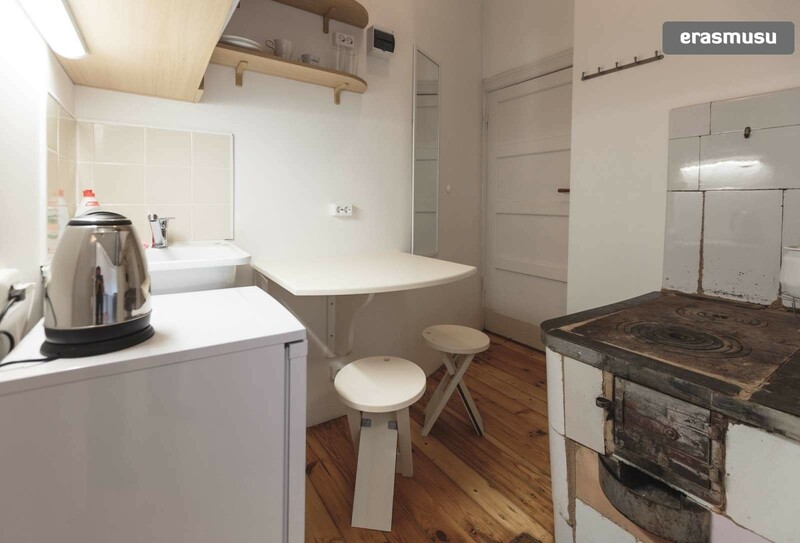 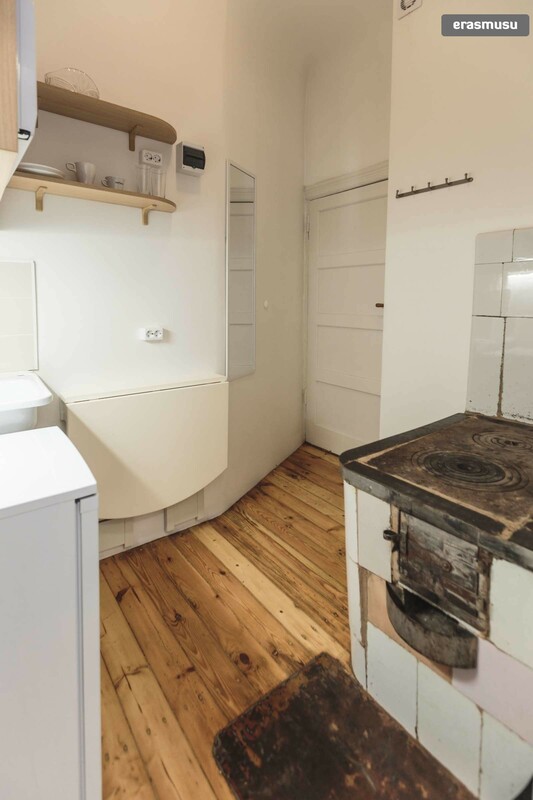 The kitchen has all the basics, including a small stove, a microwave, and a fold-out dining table. 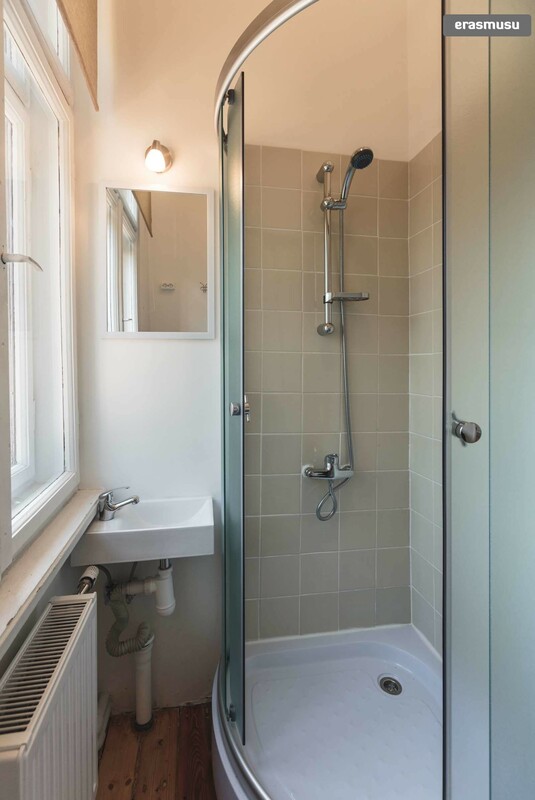 In the bathroom, you'll find a sizable shower and lovely tiling. 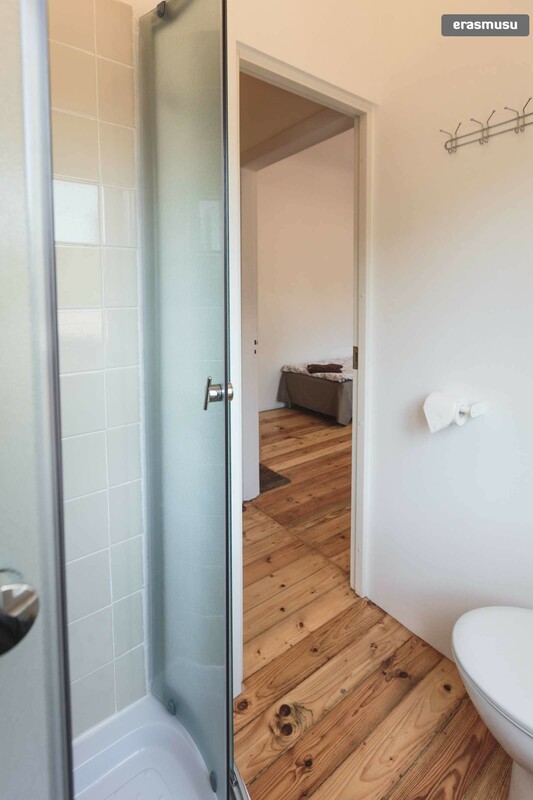 You'll also have access to a washing machine and a dryer in a common area in the building-- easy laundry days! 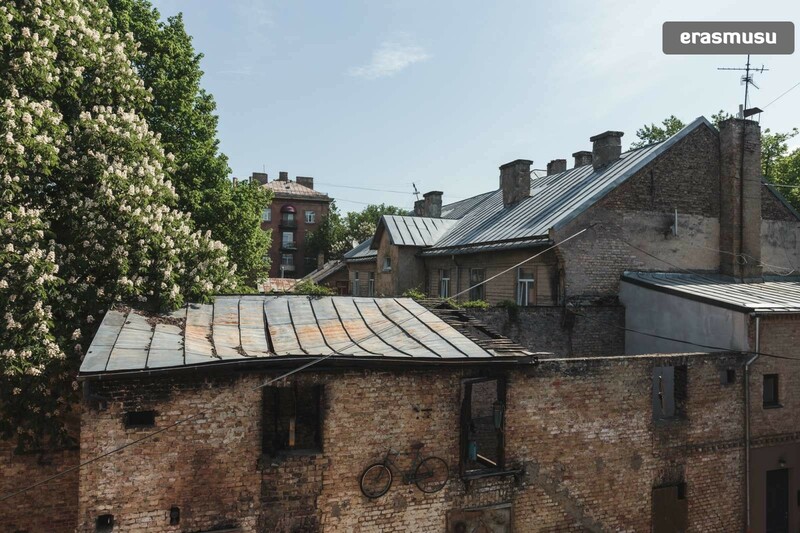 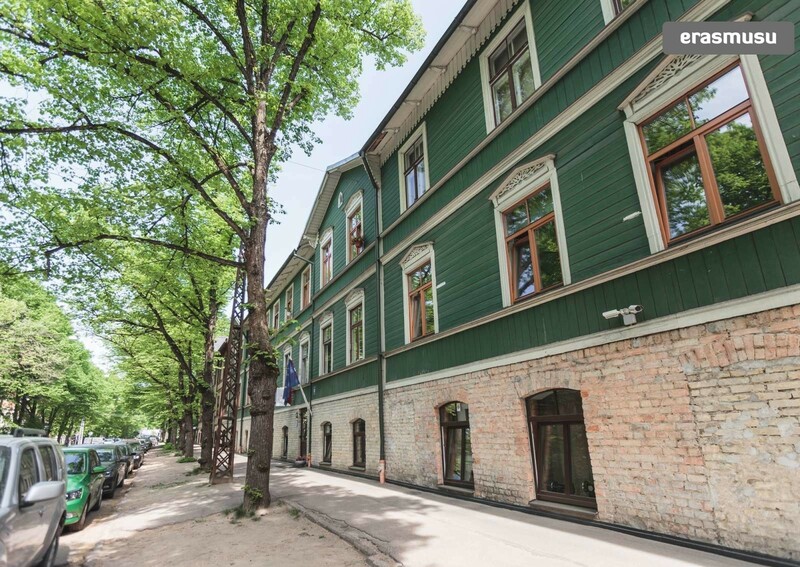 You'll be living in Āgenskalns, a well-connected neighborhood just to the southwest of Riga's historic city center. 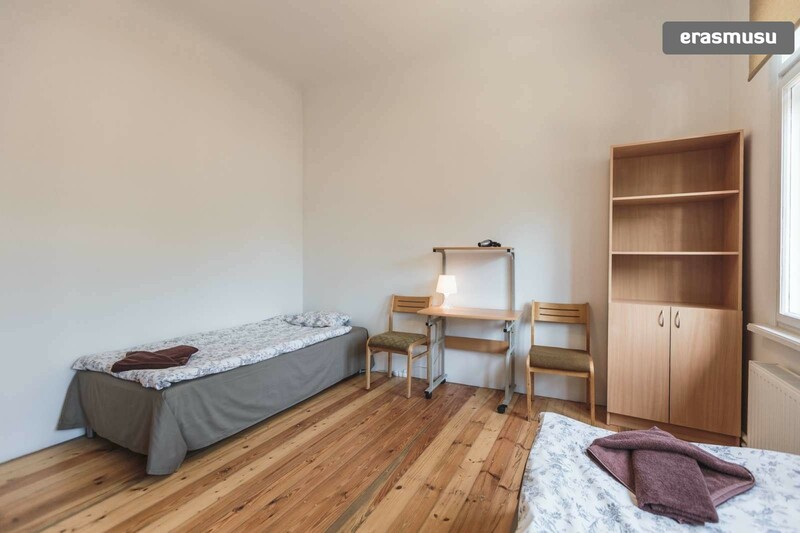 The apartment is nearby a large hospital, as well as several supermarkets and lovely parks. 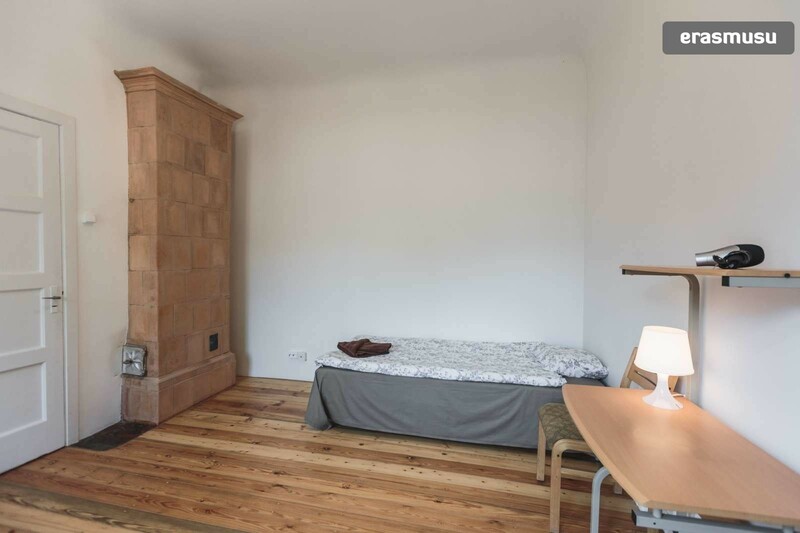 There are 2 beds in the main room. 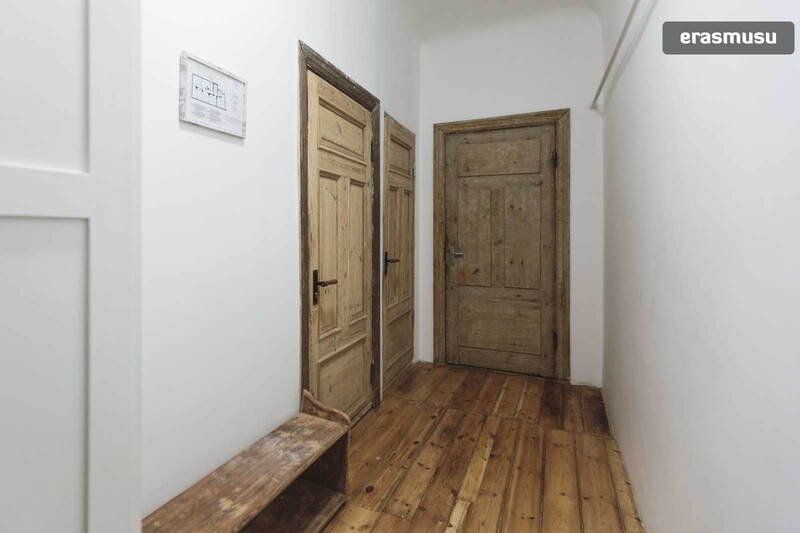 There are lovely wood floors throughout the studio. 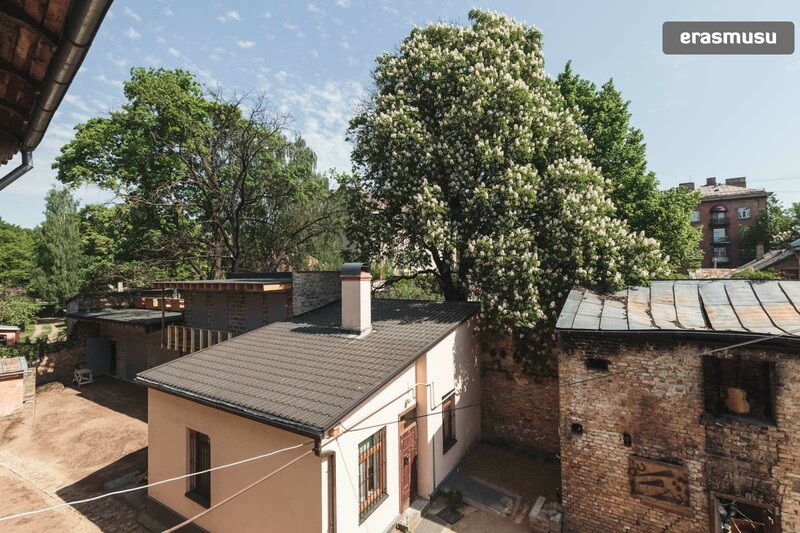 A huge hospital is nearby the property.